A larger number of tourists were attracted to Yalong Bay in Sanya for the opening of a mammoth offshore recreational platform on Dec 1st, news.163.com reports. With a total investment of over 20 million yuan, this new offshore recreational platform in Yalong Bay is known as "Sunday on the Sea". 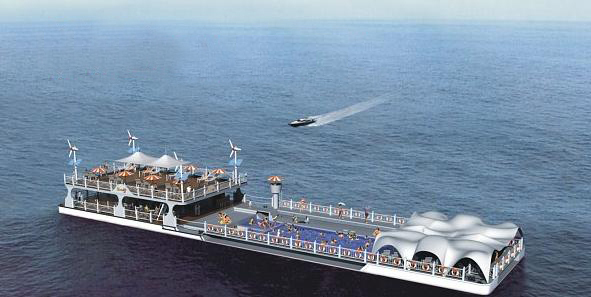 This is a unique offshore recreational platform in China at present, according to the report. With a total area of 1600 square metres, the platform is equipped with all kinds of facilities for guests. According to the director of the Sanya Tourism Development Bureau, after the platform is put into use, this new high-end entertainment product in Yalong Bay are expected to attract more domestic and international tourists to the city.